Sienna Guillory is known as Jill Valentine from the Resident Evil universe. The slim blonde from Great Britain could choose any career, and she decided to become an actress. It was the right choice: Guillory played in dozens of movies and created her unique image of a cold femme fatal. Sienna participates in Hollywood movies, blockbusters, low-budget dramas, full-length movies, and series. 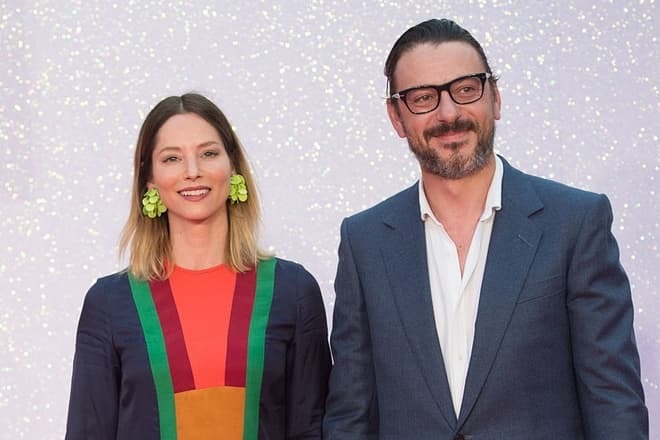 Sienna Guillory was born in 1975 into an artistic family that lived in a suburban neighborhood of London; the bohemian atmosphere always surrounded her. The girl’s father, Isaac Guillory, was a famous guitar player and collaborated with popular musicians of his time. The mother, Tina Thompson, was a famous model. There were two children in the family. When the would-be celebrity turned 14, the parents divorced. When the father married for the second time, Sienna got a half-brother and a half-sister. Guillory went to the prestigious Gresham's School in Norfolk where the family moved in 1986. At that period, the girl decided to become an actress and actively participated in all school performances. At 17, she was invited to the mini-series Riders; her role was small but significant. After Sienna graduated from a college, she continued to appear in small projects on British television. To polish her acting skills, the young woman enrolled at London theater schools and went to Paris to attend the Paris Conservatoire. In addition, she studied music and worked part-time as a bar waitress to pay for her education. As Sienna remembers, her student years were full of art, fun, and results. She did not reject new offers and participated in minor TV projects. The woman’s beauty was noted, and modeling agencies started inviting her. Sienna’s modeling career was accidental, though: the would-be star accompanied her friend during some auditions without any intention to participate there. Soon, large companies took an interest in the long-legged beauty. Guillory collaborated with Armani and Burberry for about four years; she used to be the spokesperson for Hugo Boss perfume. Eventually, the popular model became “Britain's Most Eligible Woman” according to Esquire. Wealth and popularity could not satisfy Sienna: she wanted to be a successful actress. The student works in low-budget projects did not bring many results, but Guillory got her chance soon. In 2000-2001, she took part in eleven projects one of which brought her the long-awaited glory. The actress had the lead role in the two-episode movie Helen of Troy and showed her beauty and drama talent splendidly. She skillfully personified the woman who became the apple of discord for the great men. Since that time, Sienna has been enjoying numerous offers from movie makers. In 2003, she appeared in the popular Christmas melodrama Love Actually with many international stars. The sequel of the popular blockbuster, Resident Evil: Apocalypse (2004), became the golden moment for the artist. Guillory played one of the lead characters and the favorite of the franchise fans, Jill Valentine. The movie grossed the recording $130 million all over the world; these achievements inspired the producers to continue the project. Although Sienna’s character appeared only in some episodes of the fourth and the fifth parts, her role looked bright. The actress is good at historical and fantasy movies. She can be splendid as a high-ranking figure, like in The Virgin Queen (2005), or a supernatural creature, like an elf woman Arya in Eragon (2006). In the fantasy drama Silence Becomes You (2005), Sienna created the disturbing, frightening, and alluring world that British noir fans would appreciate. Guillory starred in fairy tales, detectives, dramas, and thrillers; her roles were both secondary and primary. Sienna played in small episodes of the famous American and British series: Criminal Minds, CSI: Crime Scene Investigation, Luther. At the same time, the artist was interested in low-budget art movies. She collaborated with independent American directors (Late Night Shopping, Silence Becomes You, Kiss Kiss (Bang Bang)) as well as British and Spanish movie creators (The Heart of the Earth). In addition, Sienna tried herself in short movies, voicing, and producing (The Wicked Within). In 1996, Sienna Guillory married the British actor Nick Moran; the marriage lasted for three years. In 2002, the celebrity married for the second time; the British actor and director Enzo Cilenti became her husband. In 2011, the couple’s children, the twins Valentina and Lucia, were born. The couple lives in two countries and owns houses in London and Los Angeles. The American actress Sarah Michelle Gellar is Sienna’s close friend. 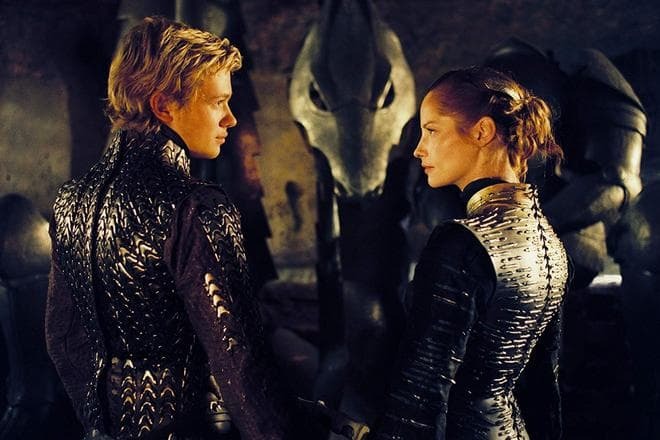 Sienna Guillory is not a public person: she is interested in art, not a chain of scandals and rumors. The actress loves being a mother and decreased the amount of work as her daughters were born. In 2018, the artist appeared in two Canadian comedies that have not been released yet. Nowadays, Sienna works on the series Stan Lee's Lucky Man. Fans can follow Guillory’s official Instagram page: the woman posts recent pictures from movie sets, journeys, family moments, and photos in a swimsuit. At present the English actress and model has a net worth of $5 million.